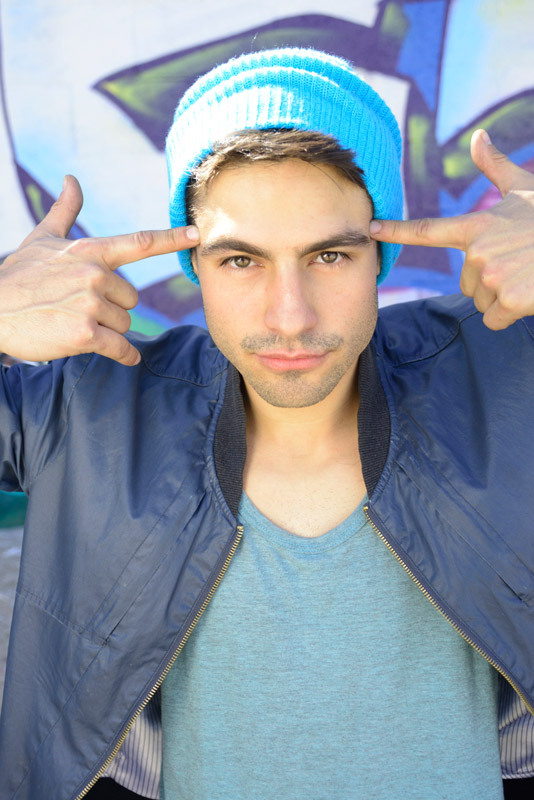 Better known as JC Gonzalez, JC is a Colombian actor, songwriter-singer, dancer and soundtrack. JC born in Bogotá, Colombia in 1990, JC and his family moved to Houston, Texas when he was 7 in 1998. Today, JC lives in Los Angeles, California working in one of the oldest and most respected professions: Storytelling through Film and Music. Son of Eva Yaneth and Gabriel José Gonzalez, JC is the oldest of three siblings, Silvia Carolina and the youngest Daniel Eduardo. JC comes from a proud Colombian heritage, and his family moved to The United States in the search of medical care for his youngest brother Daniel. As a child, JC got the nickname “Terremoto” meaning earthquake in Spanish. Sitting still was never an option. JC channeled his energy and played soccer and football in Middle and High school. At ten years old, little JC began offering his services around the neighborhood by mowing lawns and washing cars. By the age of 15, JC had held jobs such as landscaper, babysitter, and lifeguard. Since he was a kid, JC has always been the kind of person to question life, challenge authority, and never settle for less. Life is an adventure that shall not go to waste, and JC resonates with its thrilling demand. Art was never introduced to the young go-getter until the age of 15 when he accompanied a friend to a talent scouting in Dallas called Proscout. Without knowing it, JC caught the eye of his future agent and friend Denny Sevier who offered him a chance to come to LA to start his career in the arts. The curtain had risen, and JC knew where his future lay before him. When he graduated Clements High School, JC packed his car with everything he had and began driving west to LA. Today JC through his Music and Acting is a rising leader for a new generation of artists and Latinos in the US. Born into a life of challenges and barriers, JC can only smile at doubters and critics. Living in Los Angeles JC places a large importance on learning and challenging others to ignore popular demand and go for their dreams. Ignoring the prospects of attending college in Texas from his own mother, who is a college professor herself, JC loves the thrill and challenge of self-learning. Subjects such as economics, philosophy, business, poetry, nutrition, shamanism, morality, technology, and literature fascinate JC. He can normally be found walking around with his favorite Bluetooth headset listening to audiobooks or podcasts. JC considers himself a revolutionary leader of a new era of humans in a vastly new period in time. In regards to his acting career, JC admires the work of Hollywood legends Daniel Day Lewis, Tom Hardy, and Meryl Streep. He draws his musical influence from names such as Justin Timberlake and Lil Wayne. His writing inspirations include the literary works of Alan Watts, Henry David Thoreau, and Timothy Ferriss. Poets such as William Blake and Rainer Maria Rilke influence his career and his life philosophy. Although he is an actor and singer professionally, sports figures such as Arian Foster and JJ Watt serve as role models that call upon JC’s childhood athleticism and dedication.